First, Please Make Sure You Know What You Are Doing! If you are unfamiliar with your gas pool heater, please consult a trained service technician first. While most pool heaters function very safely, remember that gas is potentially explosive, so you only want to perform the check list below once you are familiar with, and comfortable with, all of the safety instructions that came with your pool heater. Complete heater lighting and shutdown instructions are located on the inside of the heater. With a new pool or spa, always run the filter pump with the heater in the OFF position long enough to completely clean the water. This is to remove installation residue; it is also advisable to clean the filter after this residue clearing and before turning on the heater. When heating a cold pool, it is also recommended to run your filter pump continually until the pool reaches a comfortable temperature. You can do this by setting the thermostat dial. (Set your time clock to assure continuous operation of pump). When the pool water reaches the thermostat set point, it will shut off automatically. (See manufacturer’s instruction booklet for Setting the temperature). Remove the heater door and locate the pilot. Look in a mirror on the floor of the burner tray to confirm the pilot is lit. Check to make sure the flame is steady and blue in color. Make sure your filter pump is NOT running. Turn the heater temperature control dial counter-clockwise to its lowest setting. Turn the ON-OFF switch on the control panel to OFF. Wait 5 minutes. IT IS VERY IMPORTANT THAT YOU WAIT to clear any buildup of unburned gas, it could ignite and cause injury if you try to light the pilot before 5 minutes. After waiting 5 minutes, turn the gas valve knob counterclockwise to the PILOT position. Push down the gas valve knob and turn the Safelight Matchless Lighter igniter knob. Hold the gas valve knob down for 30 seconds, then release. Look in a mirror on the floor of the burner tray to confirm the pilot has lit. Turn the gas valve knob counterclockwise to ON. Turn the ON-OFF switch on the outside control panel to ON. When you change the temperature setting, you’ll also need to change the Temp-Lok, which prevents the temperature in the pool from exceeding your maximum desired level. The temperature control covers a range from approximately 70 degrees F (21 degrees C) to 104 degrees F (40 degrees C). If you need to change the Temp-Lok, loosen the set screw with a small slotted screwdriver, turn to new position, and tighten the set screw again. As a guide to establishing comfortable water temperatures, setting the dial at the “10 o’clock” position for pools or “2 o’clock” position for spas will provide basic heating comfort. You may wish to alter those settings to meet your personal needs. If the pilot goes out, wait 5 minutes to allow any gas build-up to clear, then repeat steps. The easiest way to shut off your heater is to turn the ON-OFF switch on the outside control panel to the OFF position. Your filter pump will continue cleaning your pool according to your time clock setting or filter pump control switch, but the heater will not operate. For winter pool shutdown or for extended periods of heater non-use, it is recommended you shut down your heater completely. This will save energy by eliminating gas usage by the pilot. Turn the gas valve knob clockwise to the OFF position. (Push down on knob at PILOT and continue turning to OFF). The pilot will now automatically extinguish. Shut off the gas supply to the heater by turning off the manual shutoff valve located outside the heater. Your heater now will not heat again until you relight the pilot. (See winterizing your heater). The temperature control is designed to cover the typical full range of swimming comfort. Start with the pointer approximately at the “10 o’clock” position for a pool, and at approximately the “2 o’clock” position for a spa to start with. (Note: A cold pool may take a day or more to reach that temperature, depending on water temperature, humidity, air temperature and wind. Your pool will heat up faster and retain heat better if you cover your pool when it is not in use). Check the pool temperature after that time period to determine if it meets your comfort needs. You may wish to use a pool thermometer to assist you. Alter that thermostat setting if necessary until it is comfortable. (Remember to allow sufficient time for your pool to again reach the new temperature level.) Then set your comfort temperature in place by locking the Temp-Lok to prevent unnecessary adjustment. During cool temperature periods when the pool is going to be used only occasionally, to save energy turn the temperature down to the MIN setting. And of course, keep the pool covered when not in use to save energy. If, for example the pool is only being used on weekends, you may wish to turn the heater up to your comfort setting on Friday evening, to allow the water to warm up before Saturday and Sunday swimming. If you are not going to heat your pool or spa for an extended period of time, shut the heater down completely. This will save the energy used by the pilot. For a complete shutdown, remove the door on the heater, turn the gas valve clockwise to OFF (Push down on the knob at PILOT and continue turning.) Then stop the flow of gas to the heater by turning off the manual shutoff valve located outside the heater. In areas subject to only occasional short cold snaps, the heater should be turned off and the filter pump run continuously for the length of the period subject to any light freeze. IMPORTANT. In areas where freezing temperatures occur, the heater must be completely drained prior to the first frost. Serious damage to the heater is likely if water freezes inside the heater and piping. Your professional pool heater service technician is knowledgeable on preparing and protecting a heater for cold winter areas and can provide that service for you. Completely drain the heater of all water by opening all the drain valves and plugs There is one drain valve and one drain plug on the left side of the heater and one drain valve on the right side. It is recommended that you make sure no additional water remains by using an air compressor to blow out any standing water in the heat exchanger. Leave the drain valves and plugs open until it is time to use the heater again. Lightly but thoroughly grease the threads on the heater where you removed the drain valves and plugs. Disconnect the copper tubing at the pressure switch. To protect your heater from damage, be sure to maintain the pH factor of the pool water between 7.4 and 7.6. In addition to preventing serious heater damage, this will also reduce the chance of mineral deposits on the pool walls and in the filter. 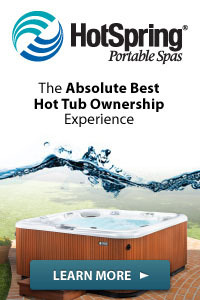 If you are using a pool heater to heat you hot tub spa, balancing water chemistry is more critical in a spa than a pool to assure safe, sanitary water conditions and to maximize heater life. Only by the addition of sanitizing chemicals and regular water changes can you properly maintain a sanitary spa. 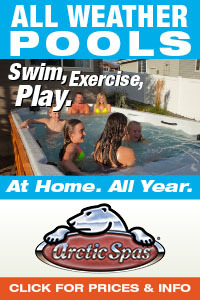 Five people using a 500 gallon spa is equivalent to 250 people in a typical 25,000 gallon residential swimming pool. So because of its size and usage, plus the elevated water temperatures in a spa, chemical values can differ greatly. Maintain your spa in a sanitary condition by draining the spa regularly (at least every 3 months, and more if there is high usage). Make sure the pH stays between 7.4 and 7.6, and the total alkalinity stays between 100 and 120 ppm. Test your water at least twice a week. (Note: Test kit reagents weaken with age. Protect your pool or spa by replacing the test kit reagents once a year). pH Measurement: This is the most important test for maintaining correct water balance, so test often. Values below 7.4 and above 7.6 can damage your equipment and pool. Always maintain at 7.4 to 7.6. Total Alkalinity: Water with low total alkalinity is corrosive and will damage your pool heater. Maintain at 100 to 120 ppm. Free Chlorine or Total Bromine: Maintain at 2.5 ppm. There are other chemical measurements that are also important in keeping your pool or spa water balanced. 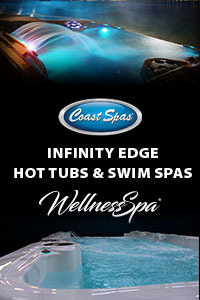 See your professional pool and spa dealer or service technician for details. 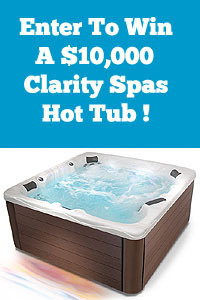 Spa or hot tub water temperature should never exceed 104 degrees F (40 degrees C). 100 degrees F (38 degrees C) is considered safe for a healthy adult. Special caution is recommended for young children. The drinking of alcoholic beverages before or during spa or hot tub use can cause drowsiness which could lead to unconsciousness, and subsequently result in drowning. PREGNANT WOMEN BEWARE! Soaking in water above 102 degrees F (39 degrees C) can cause fetal damage during the first three months of pregnancy (which could result in the birth of a brain damaged or deformed child). If pregnant women are going to use a spa or hot tub, they should make sure the water temperature is below 100 degrees F(38 degrees C) maximum. The water temperature should always be checked with an accurate thermometer before entering a spa or hot tub. Thermostats may vary by as much as 4 degrees F. Individuals with a medical history of heart disease, circulatory problems, diabetes, or blood pressure problems should consult their physicians before using a hot tub or spa. Persons taking any medication which induces drowsiness, such as tranquilizers, antihistamines or anticoagulants should not use spas or hot tubs. Manage your pool heating as you manage your home heating and air conditioning to minimize the cost of operating your heater without sacrificing swimming comfort. Heat your pool to approximately 78 degrees F (26 degrees C). The National Spa and Pool Institute and the American Red Cross recommend this water temperature for competitive swimming. Be certain you use an accurate pool thermometer, because a variance of 4 degrees F from 78 degrees F (26 degrees C) to 82 degrees F (28 degrees C) can use as much as 40% more gas. 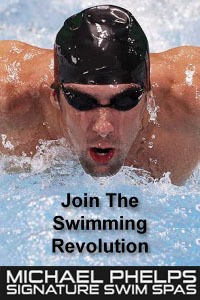 Elderly swimmers and very young children may prefer warmer water. Carefully monitor the water temperature of your pool in the summertime; heater usage can often be reduced due to warmer air temperatures. After determining the best water temperature for you, lock in that setting on your heater by using the Temp-Lok control. This will also discourage adjustment. Set the filter time clock to start the pump no earlier than 6:00AM during the pool heating season This is the time when nightly heat loss typically stops. If the pool is only going to be used on weekends, lower the thermostat setting during the week. It can be reset to your comfort setting the evening before expected use, to allow enough time for the pool to reach the higher temperature. When on vacation for longer than a week or two or during any season the pool is not in use, follow the instructions on this page to completely shut down the heater. Where possible, shelter the pool from prevailing winds with well-trimmed hedges or other landscaping, cabanas or fencing. Always use a pool cover when the pool is not in use. A cover will lower your gas bill by reducing the heat loss, conserve chemicals, reduce water evaporation and reduce the dirt load on your filter. Most pool heaters have been designed and constructed for long life when installed and operated properly. Regular inspections by a trained pool heater technician are strongly recommended to keep the heater operating efficiently. Keep the top of the heater clear of all debris, and also be sure to regularly remove any flammable materials, leaves, paper etc. from under the heater or around the base. Check the venting on heaters installed indoors for looseness and leaks. Correct any faulty venting immediately. Inspect the internal surfaces of the heat exchanger tubes at least annually, and remove any accumulation of scale. The external surfaces of the heat exchanger tubes can be inspected for soot accumulation by placing a mirror between and under the burners when the heater is firing. If soot has accumulated on the tubes, it must be removed, and the cause of the accumulation corrected. Check for spider webs in the pilot and main burner orifices, especially at Spring start up. Make a periodic visual check of the main burner and pilot flame patterns. Inspect the gas and millivolt controls at least annually to assure safe and dependable operation Specifically, check the following (for details see the Operation and Maintenance Manual that came with your heater). Moisture and dust can infiltrate these controls, causing deterioration over a period of years. A regular inspection schedule, with repair or replacement as needed, will keep your heater performing properly for many years. Keep the heater area clean and free of all combustible materials, gasoline or other flammable vapors and liquids. Do not use the heater if any part has been under water. Immediately call a professional pool heater service technician to inspect the heater and to replace any part of the control or gas system which has been under water. When your heater will not operate, before you call your professional service technician, follow the steps below. The problem may be simple, such as a dirty filter, and not require expert service assistance. MAKE SURE THE FILTER IS CLEAN. A dirty filter reduces water flow. Your heater is designed with safety in mind and will automatically shut off if water flow is insufficient for proper operation. This protects the heater from damage. CONFIRM HEATER IS ON. Check “ON-OFF’ switch on control panel. Heater will not operate unless switch is in the “ON” position. TEMPERATURE SET Turn the temperature control knob to at least midway between MIN and MAX positions to “call” for heat. CHECK TIME CLOCK. Is it set to allow pump to operate? PILOT IS LIT. Remove the heater door and look into the mirror on the floor of the burner tray to confirm pilot is lit. If not, follow the instructions in Starting up our heater section 1-7 to relight. Again, when in doubt, call your gas company, or a qualified pool or spa professional to service your heater. Remember – If you are unfamiliar with your gas pool heater, please consult a trained service technician first. While most pool heaters function very safely, remember that gas is potentially explosive, so you only want to perform the check list below once you are familiar with, and comfortable with, all of the safety instructions that came with your pool heater.